Why test through MEBO TMAU Test Program? On August 31, 2012 MEBO Research received the Primary and Secondary TMAU Test results of a batch of 37 samples, and on September 14th, sent the lab another batch of 24 samples. MEBO sends individual results (Primary and Secondary TMAU positives first) with information on TMAU for their physicians to be able to provide the proper treatment. We currently have 18 kits in the hands of sufferers who will be shipping their samples to MEBO’s Headquarters in Miami, and receive new Requisition Forms daily. Why can the MEBO TMAU Test Program offer the TMAU Test at such a low price? The lab and MEBO Research have agreed on the low test cost on the condition that MEBO ships samples in batches of 15 to 20 samples or more to lab. All work performed by the MEBO staff is volunteer work with no compensation. Why did MEBO volunteers offer to do the administrative work without personal compensation for the MEBO TMAU Test Program? 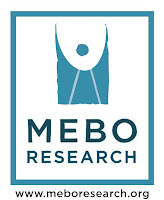 MEBO Research is a Public Charity, which by definition means that a substantial part of its income, directly or indirectly, comes from the general public or from the government to provide social services. Providing this low-cost TMAU Testing opportunity is one way MEBO can help our substantially underemployed or unemployed community around the world. Too many sufferers experience employment and financial obstacles, and for these sufferers to do their test may potentially mean to have to chose to either pay rent, food, or to pay for the test. Any sufferer who tests through MEBO Research supports these aims in helping to create a batch of 15 to 20 samples that would consequently be sent to the lab sooner than later. The MEBO TMAU Test Program has gone to great length to provide this test to sufferers throughout the world, as distant as UPS or FedEx can deliver to. Sufferers in most countries have NEVER had the opportunity to do a TMAU test, and have NEVER had the resource to do anything to help himself or herself, thus being forced to bear a life of misery living with this condition without any help or guidance. 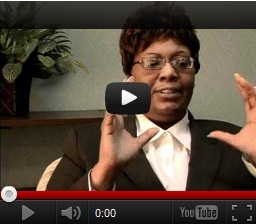 MEBO RESEARCH IS A 501(c)3 Public Charity: Not all 501(c)3 Charities qualify for Public Charity status. The types of 501(c)3 organizations are: Religious, Educational, Charitable, Scientific, Literary, Testing for Public Safety, to Foster National or International Amateur Sports Competition, or Prevention of Cruelty to Children or Animals Organizations. All charities are further subdivided, however, between public charities, which receive broad public support from gifts or fees, and private foundations. MEBO Research has been classified as a public charity by the Internal Revenue Service (IRS) as "not a private foundation," as it receives, or commits to receive, a substantial part of its income, directly or indirectly, from the general public or from the government. The public support must be fairly broad, not limited to a few individuals or families. I would like to extend my heart-felt gratitude to every one of the many people around the world that have dedicated so much of their valuable time and hard-earned money towards this end and for the strong support MEBO Research has received all these past years.